Mont Blanc blends the intimacy, charm and personal attention of a country inn with all the services you’d expect from a larger hotel resort. Family-owned and run for over 40 years, Mont Blanc is a welcome departure from the big resort chains. 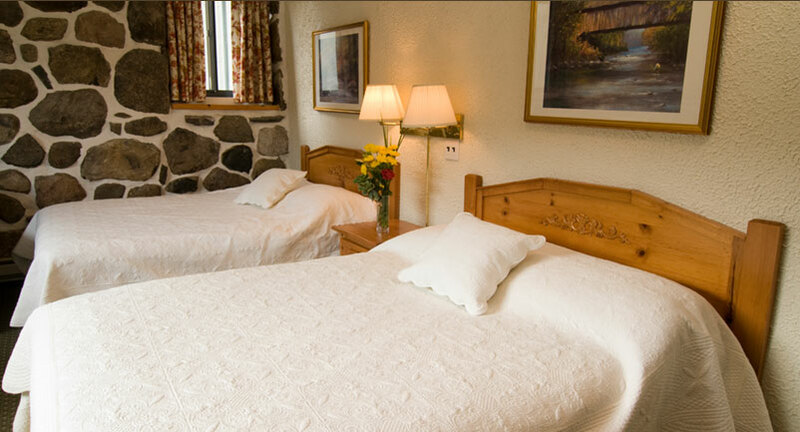 Located directly at the base of our mountain in our main lodge, these hotel rooms sleep up to 5 people and offer comfortable convenience at the right price. 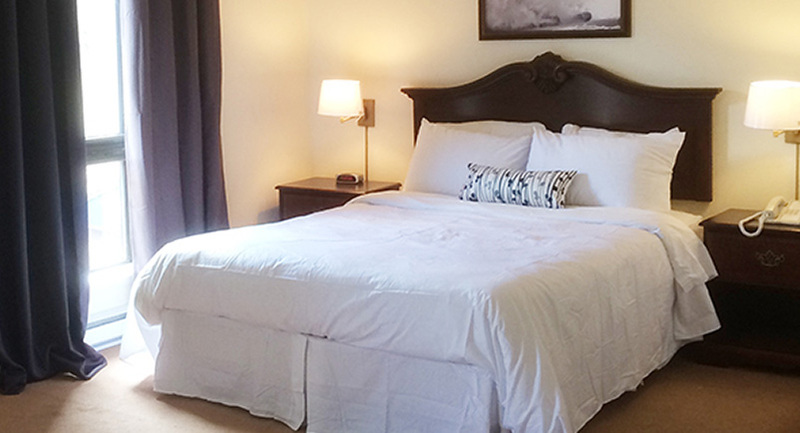 Newly refurbished and reappointed, our Superieur rooms rate as our BEST DEAL! 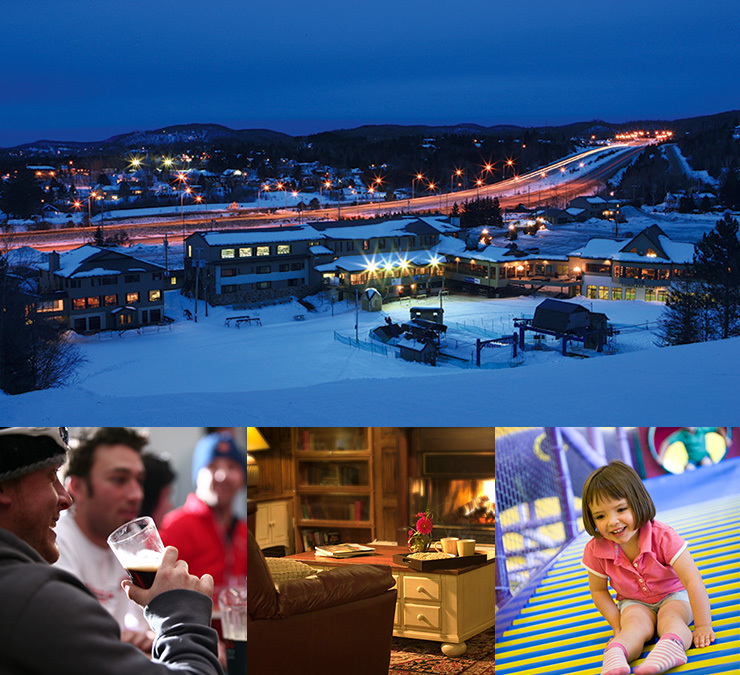 It’s hard to find a better Ski-in/ Ski-out package anywhere in the Mont-Tremblant region. Looking for something special? 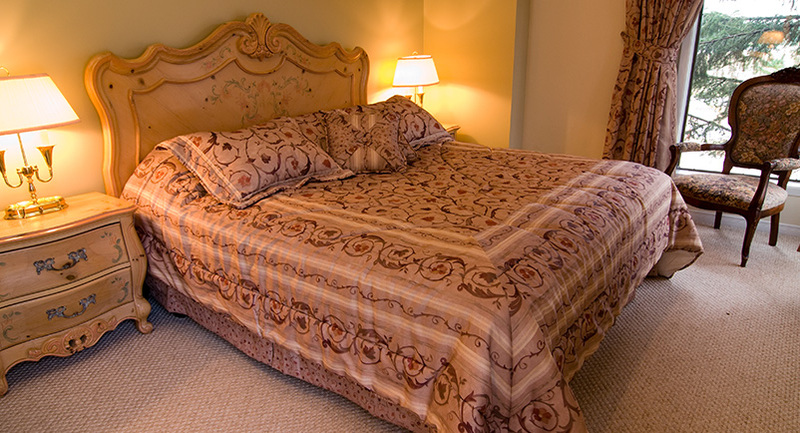 Our hotel suites are appointed with antique furnishings in both the bedroom and seating area. And the fireplace is a nice bonus! For convenience – it doesn’t get any better. You are right on the slope in these quaint apartments with bedroom, master bath, and living area. Hotel Mont Blanc - From humble Laurentian ski lodge to a quaint inn. Hotel Mont Blanc began as a rustic bunking quarters for students and ski clubs in the 60’s and 70’s. Since then it has evolved to become a great place for vacationing families or couples on a getaway. 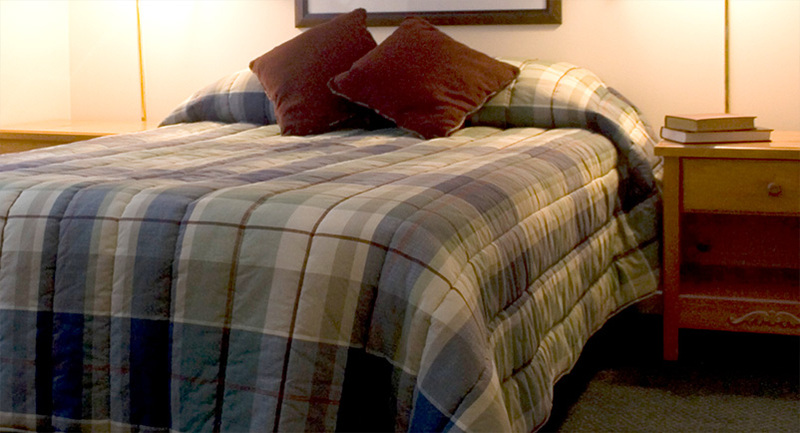 Always clean, comfortable and convenient, just steps away from the slopes.